I had a decent shallow sleep in Chappie and I was awoken at 0530 by two lorry drivers who were trying to figure out the coffee machine outside the garage. It had been reasonably quiet during the night in Periam but I always seemed to hear every little noise. Sometimes it’s quite nervy sleeping in Chappie. I felt pretty secure last night however. I got going at 0615 surrounded by fog. Breakfast was a fruit puree thing, a sesame bar and some nuts. I was handed some money by an elderly gentleman on a bike in Satu Mare (not the one I’m running to in the north). I got this paid into my Virgin Money Giving page straight away. He spoke no English so he’s simply known as “Man on a bike”. The villages of Secusigiu and Munar were next. 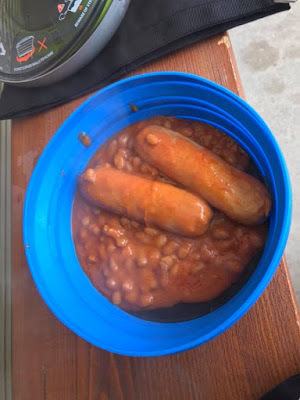 I decided to cook a ration pack of chicken sausages and beans in Munar. Chappie attracted a bit of attention and people asked me if they could “Make photo?”. The hot food tasted good and I was soon on my way again. I turned off the main road at Sânpetru German where another elderly gentlemen told me to “Achtung Thieves”. I had a good 45 minute break in a bus shelter and did my best not to nod off. I was so tired. 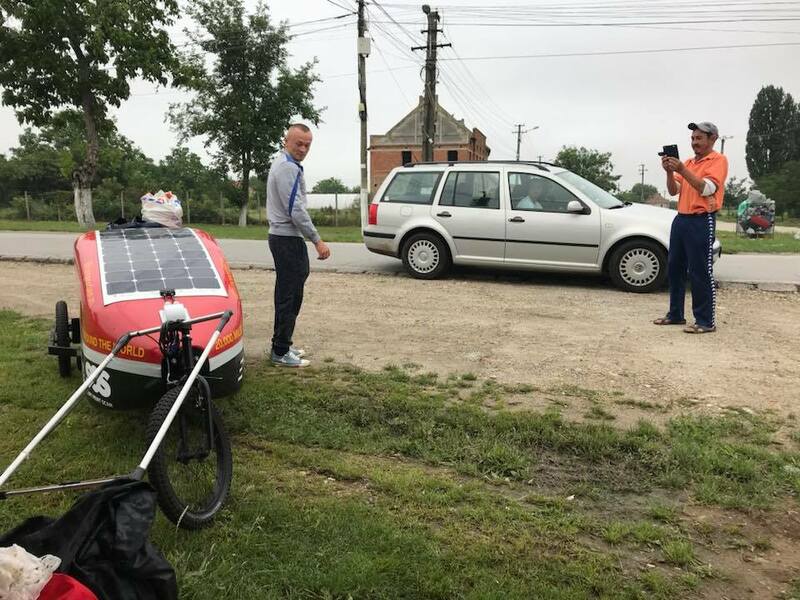 As I set off again, I was accompanied by a man who spoke some good English but inserted Romanian words where he didn’t know what the English equivalent was. The result was a half decent conversation where I told him about my journey and he said that his son was a designer in London. His daughter worked 200 km north of London. By the time I’d had a guess at all of the potential places it was time to say goodbye. He asked if I wanted a drink in the local cafe. I had to politely decline as I’d only just rested. 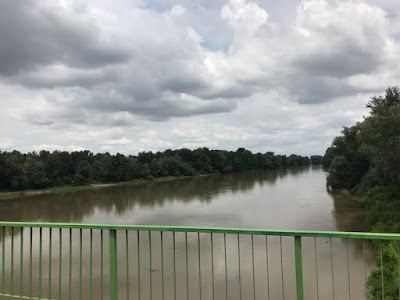 The road from Sânpetru German to the river Mures seemed to go on forever. There were lots of commuters on bikes and some families being chauffeured around by horse and cart. There was also the biggest swarm of dragonflies that I’d ever seen. I crossed the river and eventually found my way into Pecica. 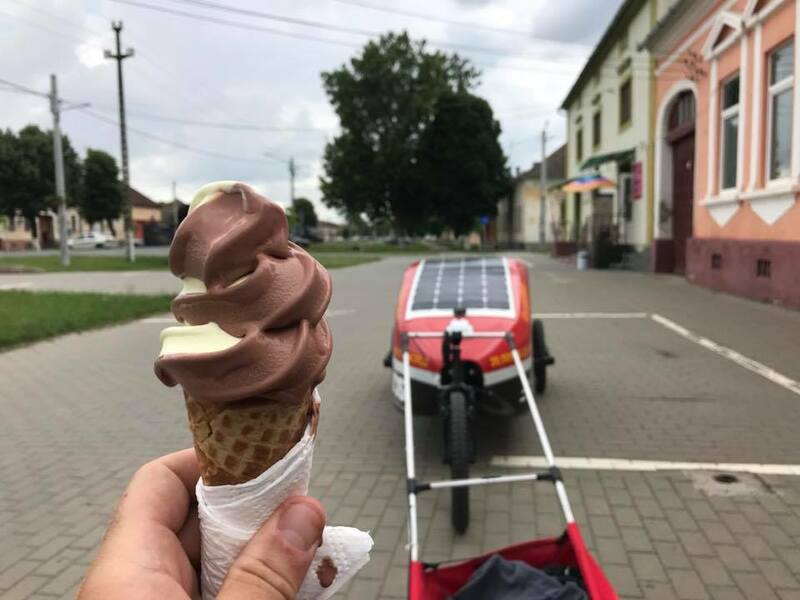 I stopped for an ice cream on the Main Street. The thunderstorm started soon after and I waited for an hour until it stopped. My schedule dictated that I should reach Pecica by the evering. I was there way ahead of time due to the additional mileage done yesterday. I made my way out of Pecica and decided to setup camp. The spot wasn’t ideal but I was shattered. Just as I’d finished setting up, a man called John drove past and asked me if I’d like some food and a bed for the night. I politely said yes! I parked Chappie at John’s parent’s house and we drove back into town to his house. 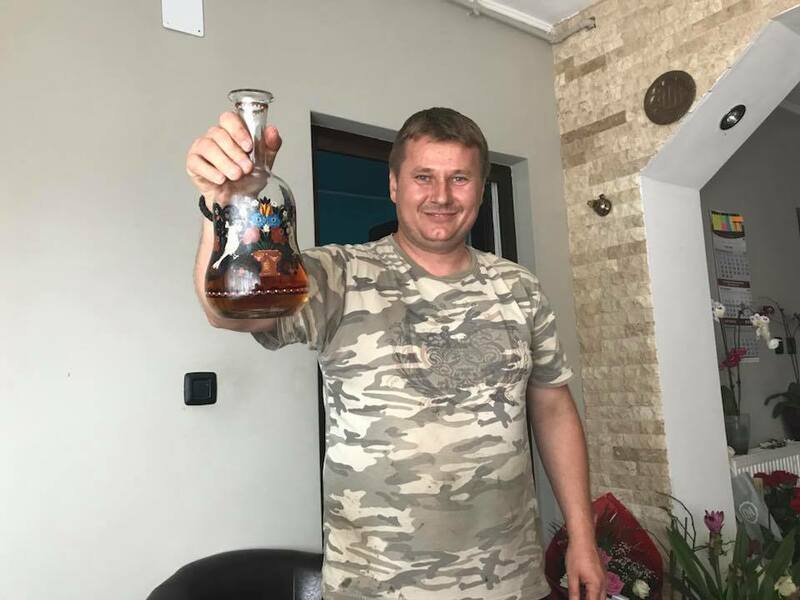 I met his wife and children before being fed delicious home made soup. Then followed some meat and cheese. John insisted that I have a cognac so, again, I politely said yes. I was able to have a shower and my 2 days worth of stinking running kit got a wash. The food offerings kept coming and I accepted just a couple of cherries. I’ve really struggled to eat since I set off from Belgrade last week. The downside to today is the state of my feet. I’ve never seen them in such poor condition since the run across Australia. I’m doing my my best to treat them but they are literally falling apart. I’m on target to arrive in Satu Mare next Sunday as planned. There’s 8 more days and 161 miles to go. It was 160 but John told me that the road surface on my current route is poor in parts. We replanned on better roads and I’m looking forward to continuing the journey in the morning after a night’s sleep on a settee. Luxury!